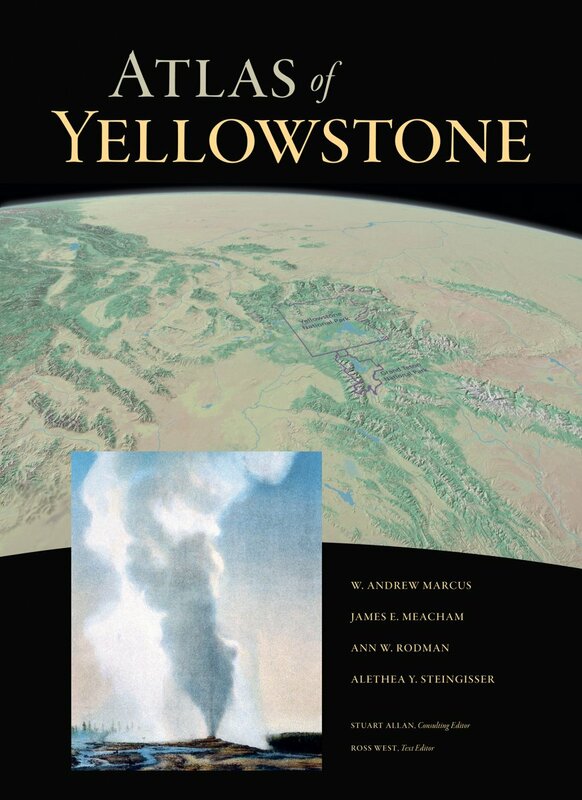 The University of Oregon-led Atlas of Yellowstone has received a publications award from the Wyoming State Historical Society – the second award this year for the atlas, which began nine years ago as a geography class project at the UO. The most recent award was accepted by Ann Rodman of Yellowstone National Park, who worked on the atlas with the UO's Andrew Marcus, James Meacham and Alethea Steingisser. The Wyoming State Historical Society recognizes individuals and organizations from across the nation each year whose work celebrates Wyoming’s unique legacy. The Atlas of Yellowstone was nominated in the "reference" category by the Albany County Historical Society – one of more than 20 chapters of the nonprofit statewide organization. The Atlas of Yellowstone was named earlier this year as the recipient of a top honor in the American Publishers Association' PROSE (Professional and Scholarly Excellence) Awards. It received the organization's award for Excellence in Physical Sciences and Mathematics. The Atlas of Yellowstone – published in 2012 by the University of California Press – is the product of collaboration between the UO, the National Park Service, Yellowstone area universities and other federal and private agencies. It documents in images and words everything from the archeology to evidence of climate change at Yellowstone National Park. Its topics range from Yellowstone art to regional economy, and from vegetation to bison movement. The project was led at the UO by Marcus, a geography professor and associate dean of social sciences at the UO; and Meacham, a senior research associate and director and co-founder of the university’s InfoGraphics Lab – a GIS and cartographic research facility in the geography department. Steingisser, of the InfoGraphics Lab, managed the book’s production and Rodman led efforts from the park.